New super watch, the POMO Waffle. POMO House, a Thai- owned global company, have released a press statement regarding a new watch with which parents can monitor their children.The watch also offers more than 15 protection, social, and real-time conversational capabilities designed to teaching children of five years and upwards the basics of wearable technology and creative tools. 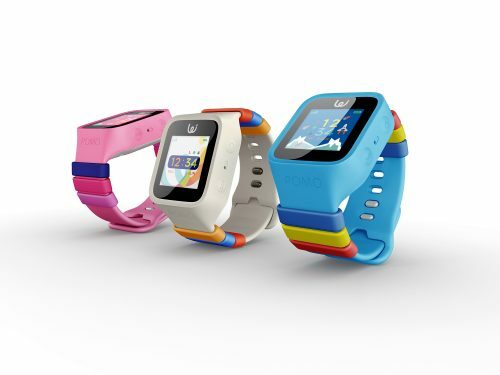 POMO have joined with Kickstart to launch their fourth-generation children’s smartwatch, the POMO Waffle. For those who can’t wait for the launch, you can pre-order the watch at Kickstart for just US$99. The watch is completely customisable and is available in a variety of colours that can be personalized with over 15 cartoon character designs to suit any personality. Parents or children can draw their own image or select a character from the group, and use their creations as the design of the watch face. Children can easily send emoticon sticker messaging and perform group chats, play time and step count exercise tracking. Parents will be able to access a suite of safety features like the Smart Locator (instant GPS tracking of a child’s location), ‘Take Me Home’ (offering live navigation home) and an SOS alert from a child in an emergency situation. The statement added that security and safety were at the core of the watch’s development as well as providing learning opportunities AND fun for the children. POMO (POP/MOM) was founded by a team of parents and the Waffle is the latest product to come from the brand, following a “smart” thermometer, POMO Bebe, and earlier watches including the R2, Moji and Rainbow Series. The Waffle gives parents a new way to stay connected in real time, and offers a new peace of mind during the times they have to be apart from their families. The POMO Waffle is available now on Kickstarter starting at $99, with an overall campaign goal of $50,000. https://www.kickstarter.com/projects/pomohouse. As mentioned previously, custom design capabilities. Take Me Home: Add important locations like home and school so POMO Waffle can give directions wherever they need it. – Voice Calling: With VOIP parents and children can call each other from anywhere in the world free of charge. – Watch Off Alarm: Receive notifications when kids take off the watch or when the watch is running out of batteries. SOS: POMO Waffle keeps safety at the forefront by allowing children to ask for help when needed. When the feature is activated, parents will receive a call and their child’s current location. – Safe Zone: POMO Waffle enables parents to establish a safe zone for their children, and notifies them when users leave the designated area for ultimate security. The user’s location will always be tracked through a combination of WiFi, GPS and LBS technology. – Exercise Tracker: Track steps and active play time to promote a healthy lifestyle for development. – Voice Messaging & Emoticon Stickers: POMO Waffle encourages children to communicate and express themselves by sending messages and stickers to other users throughout the day. – Materials: Non-toxic food grade silicone that is both wear-resistant, scratchproof, and waterproof. – BFF (Best Friend Forever): POMO Waffle encourages socializing by allowing children to add five friends to the “Best Friends Feature” and easily connect through real-time calls and voice messaging. It all sounds wonderful but doubtless the “little darlings” will soon find ways to cause mischief with the watches. We shall see !